I made a boxed pleated reversible bag. 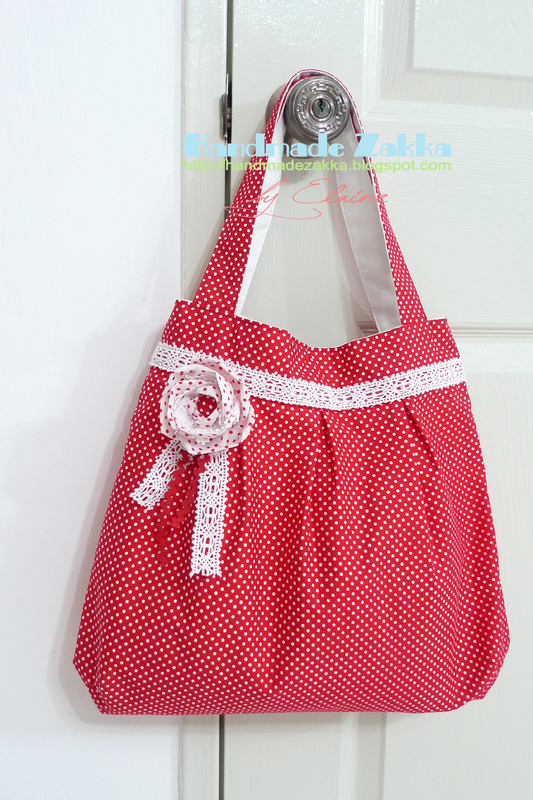 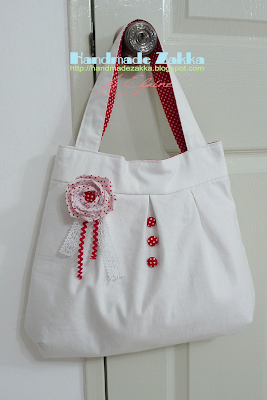 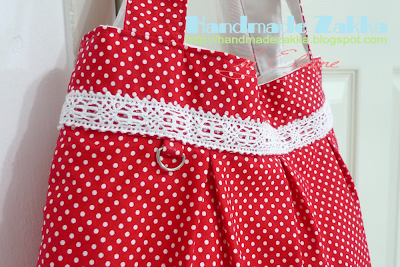 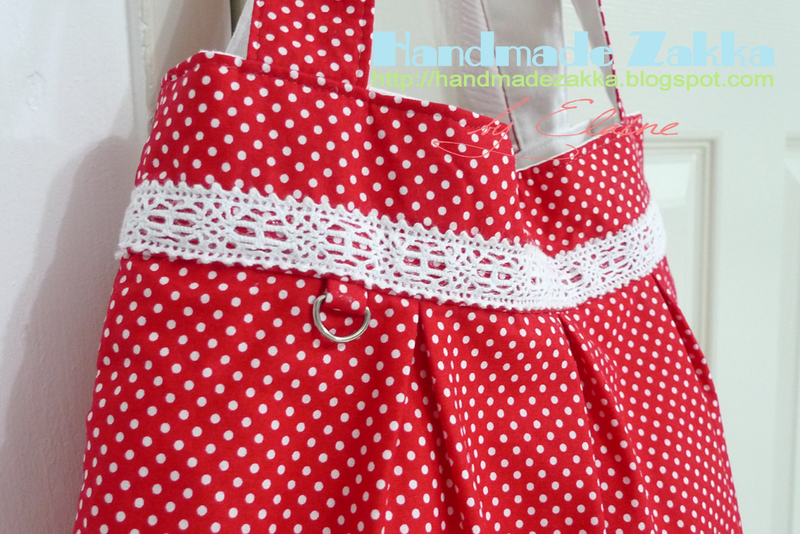 One side of the bag is red with polka dots and lace. The other side is plain white with 3 fabric buttons using the same fabric from the reverse side. 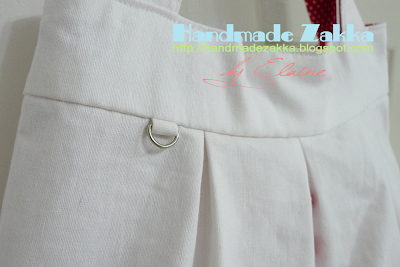 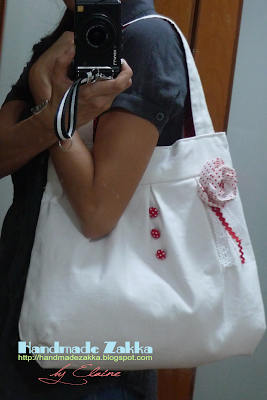 I sewed D-rings on both sides of the bag, It can be used to hang a wristlet for the D-ring inside the bag. Whilst a brooch can be pinned on the fabric loop holding the D-ring so it will not damage the bag.